Five years after California's Squaw Valley ski area first rolled out a plan to extensively develop its base village, the controversial project is now one step—a significant one—closer to breaking ground. On November 15, after a nearly 10-hour-long public meeting with over 100 community members speaking for and against the proposal, the Placer County Board of Supervisors voted 4:1 to approve the development, which would build some 1,500 new condos and hotel rooms, plus retail, restaurants, and an indoor recreation center, across 94 acres at the base of Squaw Valley's famed snow-covered slopes. There's a groundswell of community activists opposed to the development—some 650 people wrote to the county, pleading supervisors to reject the development, and over 5,000 signed a petition against it. But the project got approved. So done deal then, right? Construction can begin? Not exactly. "We are pleased with the outcome," Squaw Valley CEO Andy Wirth told POWDER. "But we still have a truckload of work to do." The next steps for Squaw include drawing up detailed design plans, which will need to be approved by the county, and finding a developer. 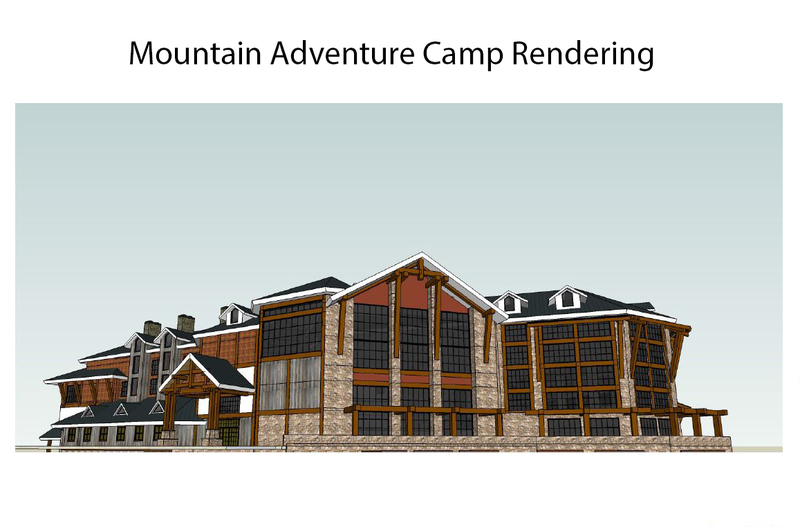 Wirth wouldn't estimate when construction will begin, calling the project a "long-term plan," but a statement from the ski resort says it intends to start the design work immediately and that construction will begin after building permits are obtained. There's one other thing Squaw may have to deal with: a lawsuit. Sierra Watch, the environmental organization that has rallied troops against the development in a campaign they've dubbed "Keep Squaw True," is in the process of filing of a lawsuit under the California Environmental Quality Act (CEQA) against Placer County for approving the development. "Our environmental laws exist for situations like this," says Isaac Silverman, staff attorney for Sierra Watch. "They require state agencies to make informed decisions and they require them to accurately disclose the impacts of those decisions. And when you have a situation like this one where that hasn't happened, those approvals aren't legal." "It's been five years since we saw the initial proposal, but we're still closer to the beginning than the end of this process," adds Tom Mooers, executive director for Sierra Watch. "Placer County's vote was more like a starting gate than any kind of finish line." Wirth, for his part, says the lawsuit would be a disappointment. "Our efforts have included the best scientists, who studied everything from water to traffic, and created a document that's being fairly characterized as the most robust environmental impact statement in the county's history, yet [Sierra Watch] thinks that assailing that document is warranted. That's unfortunate but it may be reality. We'll take that as it comes." Most of those opposed to the development cite reasons like environmental impact, increased traffic, water scarcity, obstructing mountain views, lack of employee housing, and the project's incompatibility with Squaw's mountain culture. "We fear that this oversized village with its adverse impacts would forever change 'raw' Squaw into a congested Disney-esque experience," writes Squaw Valley resident Ed Heneveld in an opinion piece in the local newspaper. "Challenge, risk, solitude, uniqueness, openness, human-powered adventure will be transformed into urbanized, crowded, unaffordable, inner tube ride of cookie-cutter sameness." Squaw combats nearly every argument, saying the project has been drastically reduced in size from its original version, that extensive funds will be invested in transit and workforce housing solutions as well as environmental improvement projects, and that the goal is to attract year-round, destination guests who will help create jobs and boost the local economy. "We want North Lake Tahoe-Truckee to remain a premier destination for visitors, and a great place for residents to live and work; however, we can't remain competitive with aging infrastructure and dated amenities," counters local Gary Davis in another editorial. "The Village at Squaw Valley redevelopment plan is consistent with our region's core values … The project is a win-win-win for locals and visitors." No matter what happens to the village, there's one thing that can't and won't change: The skiing. Despite the divisiveness of the development battle, local skiers were fired up when Squaw Valley opened for the winter season on November 23, followed by a whopper of a Sierra storm that blanketed the mountain in more than two feet of fresh snow. 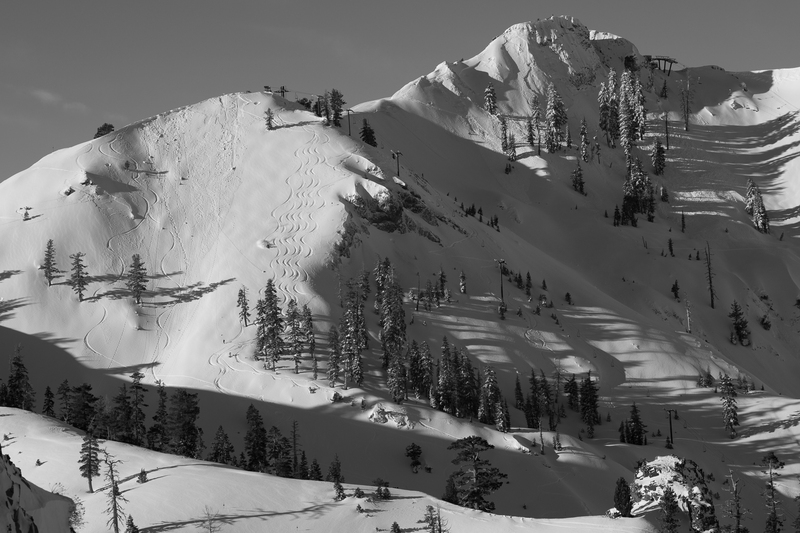 The new chapter is all about Tram Face—the dicey, mainly un-skiable terrain underneath Squaw's tramline that's closed to the public and has only been poached a handful of times by renegade locals. The chapter will include detailed descriptions of lines spanning from Sylvester's slot on the far looker's left side of Tram Face to the end of the ridge on far looker's right, as well as a brief history of that terrain. The most significant line on Tram Face? Gaffney is calling it Keep Squaw True. "It's meant to be a reminder of the importance of remaining true to oneself, true to the community, and true to the lands," Gaffney says.